Founded in 1847, First Baptist Church Pensacola stays young, vibrant and relevant by seeking new ways to engage worshippers. 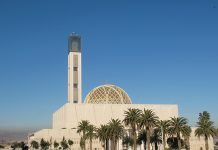 In addition to its Sunday services, the church offers a host of events, from women’s conferences and mid-week learning sessions to sports activities for people of all ages. 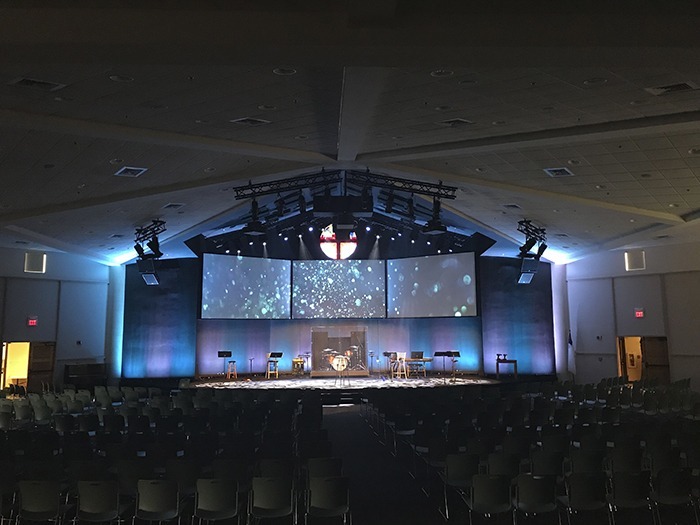 Last year, the AVL system in their contemporary worship space, Chipley Hall, was starting to become outdated, so the church’s leadership asked Greg Klimetz of Relevant AV Solutions to come up with an upgrade plan. Klimetz did just that, handling all of the rigging and audio himself, but for the lighting part of the project, he turned to his friend Craig Rutherford. 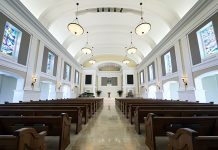 No stranger to worship lighting, Rutherford has designed church systems around the US. 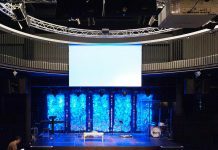 To add depth and colour to the church’s stage, he developed a design that featured 60 Chauvet Professional fixtures, supplied by Relevant AV Solutions. Key to accenting the stage’s contours was Rutherford’s positioning of 18 COLORado 72 Batten Tour fixtures along the upstage edge and on the stage left and right curves. Used primarily as cyc lights, the COLORado units were pointed upward toward the wall, bathing it in colour. Joining the washes on the upstage truss are eight Rogue R2X Spot fixtures. The church draws on the gobo morphing capabilities of these 300W LED spot units to create textured looks that add depth to the stage. Completing the downstage arrangement of fixtures are six COLORado 1-Quad Zoom VW fixtures. These units help fill in the far downstage edges to eliminate shadows.